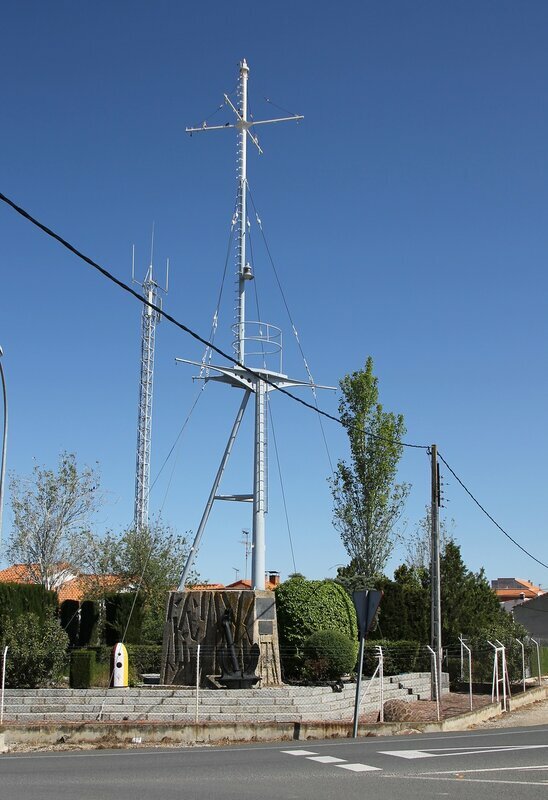 Traveling through Spain, I found in the small town Almuradiel, in the province of Ciudad Real, Castile and La Mancha, a monument to the warship "Marte" (Mars), which was made surprisingly for two hundred kilometers from the sea. In 1934, marine Minister Juan josé Rocha García introduced to the Cortes a plan to build four warships designed to protect the Balearic Islands. In 1935, the Republican government allocated money, the order was placed at Ferrol shipyards in Galicia. The project was called "Jupiter" by the name of the lead ship. 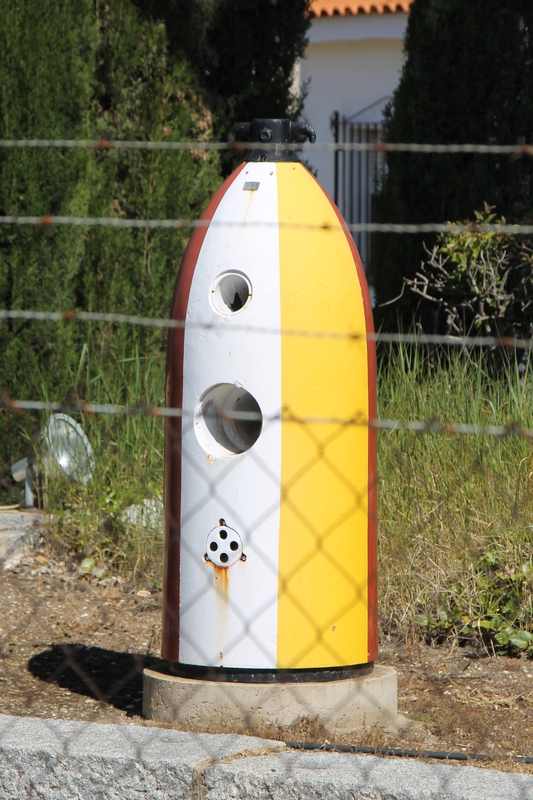 It was a Spanish development, the combat class of ships was defined as "Cañonero minador" - "artillery mine barrier". The ships had four 120mm guns, two 76mm anti-aircraft guns and three 20mm machine gun, 264 mines. With a length of 100m, a width of 12.36 m and a draft of 3.6 m, the ships had a total displacement of 2600 tons. The power plant consisted of two turbines with a total capacity of only 5000 HP, so the maximum speed did not exceed 18 knots. 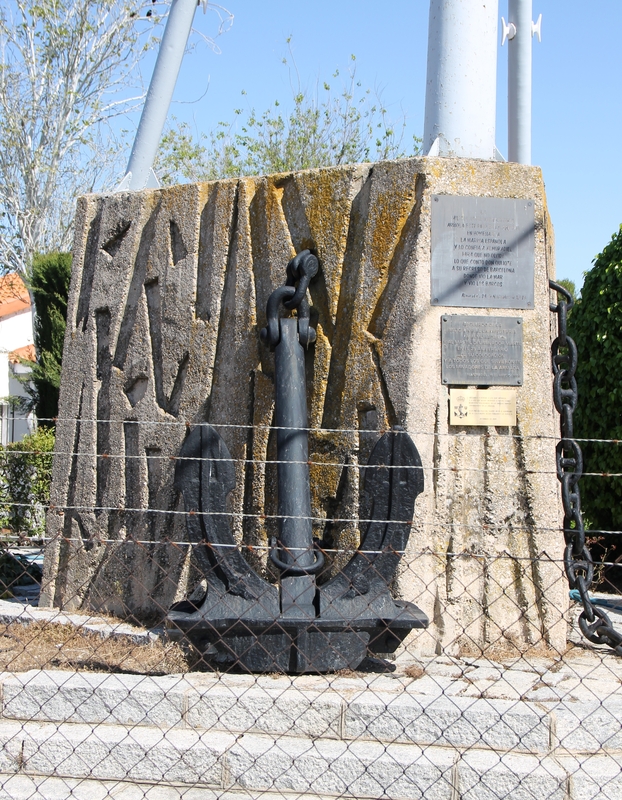 The ships were built in 1937-1939, already during the Civil war, three of them were part of the fleet of the Franco, Marte was in the hands of the Republic. After the war, Marte continued to serve in the Spanish Navy, then became a training ship of the Maritime University. In 1971 he was sent for scrapping. 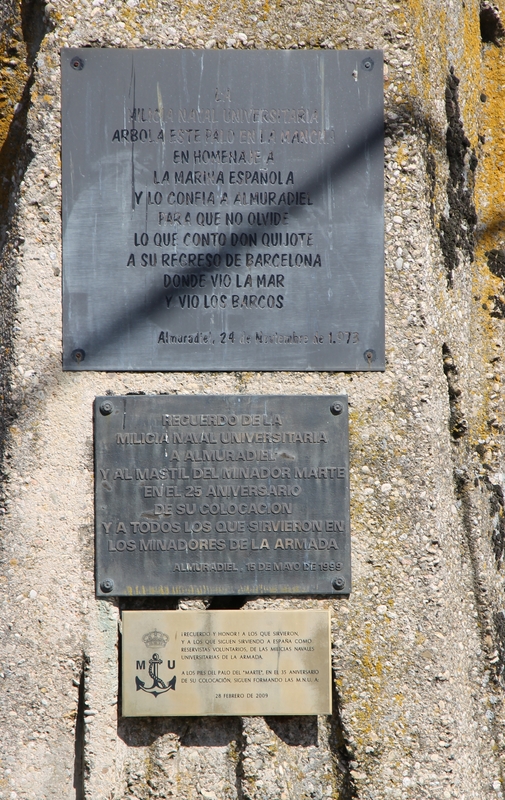 At the initiative of Veterans of the Marine Militia (so called the Republican Navy) and architect Antonio Barrera de Irimo in 1973, the mast of the Marte minelayer became a monument. Next to the pedestal you can see the bow of the torpedo. What does the Castilian backwoods have to do with this ship, even google does not know.